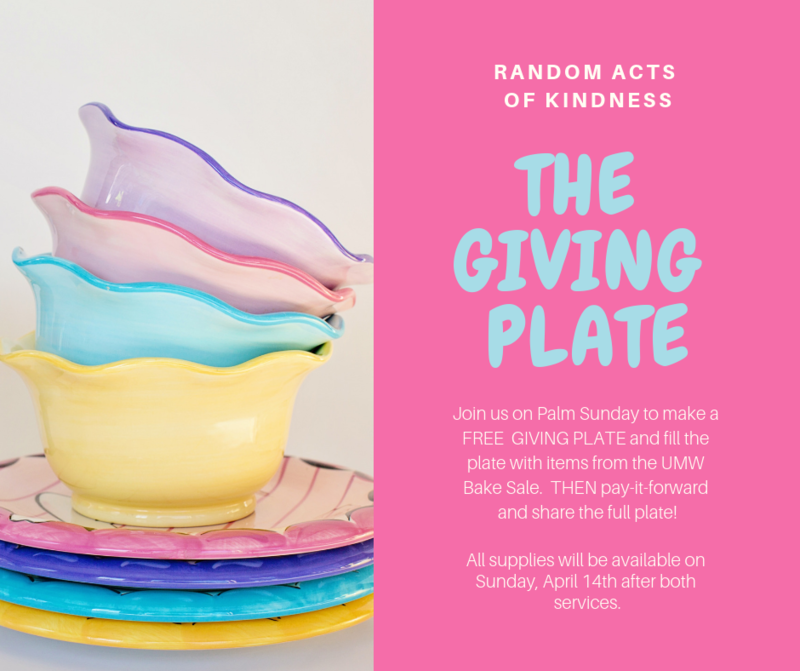 Create a “Giving Plate” to share baked goods and the gift of giving. Join us on Palm Sunday after the 10:00 service in Fellowship Hall. We will have all the supplies you need to create a plate which is designed to be regifted. All you need to do is load it with goodies and start a ripple of kindness. Share your plate with a loved one, neighbor, co-worker – the opportunities are endless! UMW will be hosting their annual bake sale the same day so it’s the perfect time to buy some extra goodies to fill up your “Giving Plate!” If you have questions, please contact Carey Johnson at carey@nsumc.com.